Since 2004, Dr. Matthew Paterna has been passionate about helping families live a better life. Our award-winning chiropractic care is patient-centered with customized treatment options for all ages and our modern facility is known for its range of chiropractic techniques and other services. No matter what level of health you’re currently experiencing, our expertise can help you improve it so that you can increase your quality of life. 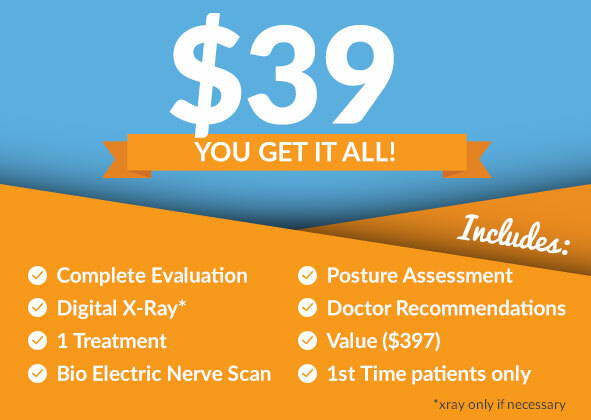 Book Your Consultation For Just $39 Today! Our insurance specialists will verify your insurance for you during your free consultation. We offer affordable-budget plans for all budgets. We also offer Saturday appointments, free parking and on-site X-rays for your convenience. Restore and optimize your health with safe, natural and drugless chiropractic care.